1) John W. Campbell Memorial Award Finalists: The John W. Campbell Memorial Award nominations have been announced. To be well read in the best SF and fantasy of 2011, pretty much all you need to do is read these 11 novels. 2) British Fantasy Awards: The short list for the British Fantasy Awards has been announced. Some of the nominees are familiar to American audiences, but some works haven’t been published here yet. 3) A Wool Movie? 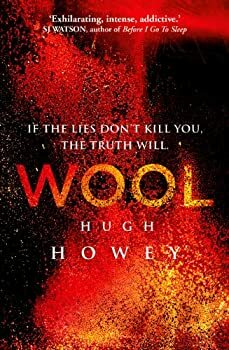 : Fox has acquired the movie rights to Hugh Howey’s breakout indie publisher sensation Wool. Ridley Scott is currently attached to the project, which should make any sci-fi fan sit up and take note. 4) Cthulhu for Everyone! : If you’re a Lovecraft fan, this is especially for you: an exhaustive listing of books that pay homage to the founder of American eldritch literature. Frightening or funny, it’s all on this list. 5) Spooky or Jokey? 10 Favorite YA Fantasies: Here’s a great reading list for teens’ summer reading. 6) Nightmare Magazine Kickstarter: John Joseph Adams and Creeping Hemlock Press team up to kickstart a new Horror magazine.